Fat Witch Bakery Cookbook and Brownie Giveaway!! Chelsea Market is one of my most favorite places in New York City! Being a foodie like myself, it is pure heaven. If you have yet to visit, run - don't walk - there, the next time you are in the city. 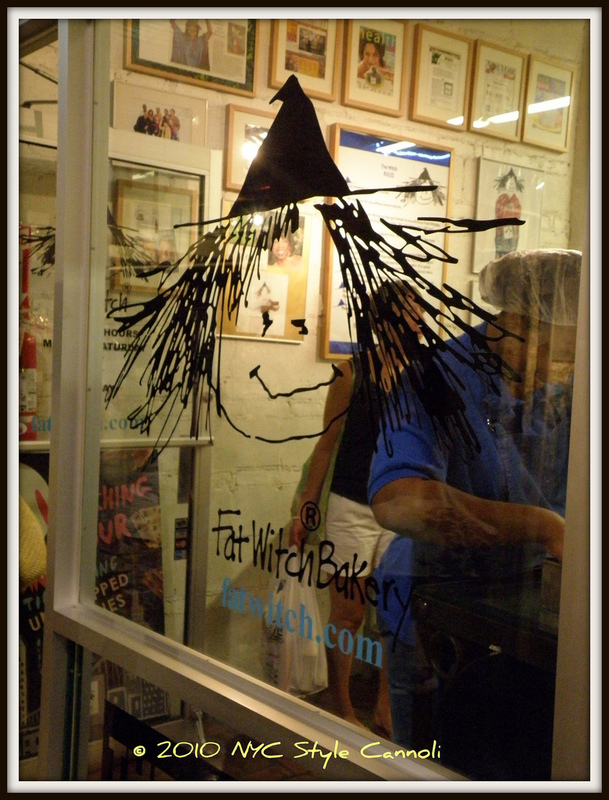 One of my most favorite places is Fat Witch Bakery. It is such a fun concept and their specialty is Brownies!! They are not any brownie, they are like little pieces of fudge. There is no icing as none is needed. It is pure heaven! Patricia Helding, the owner, came up with her own brownie recipe. 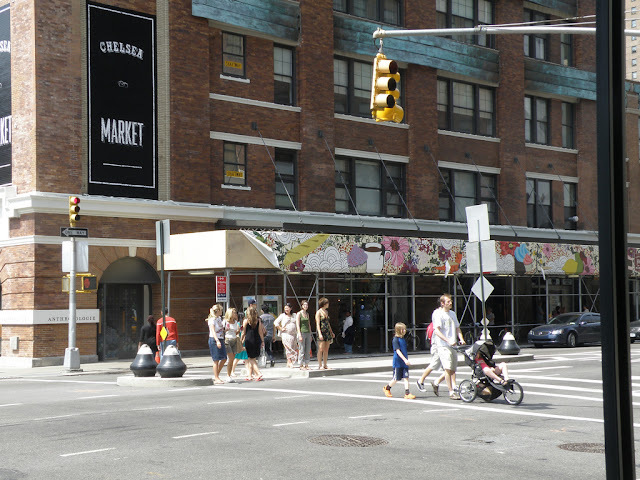 She was working on Wall Street but decided that was not for her and opened Fat Witch in 1998 in a small space on 9th Avenue in Chelsea Market. Today Fat Witch makes more than 2,500 brownies a day and recently opened in Japan! I like the fact that they really concentrate on one item, brownies, and make it the best product it can be. 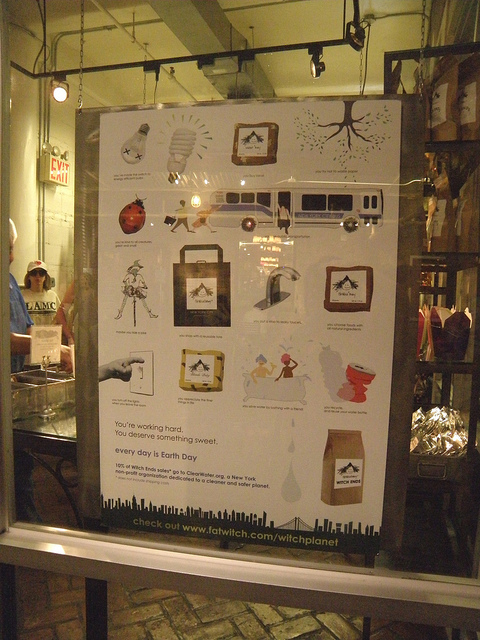 In New York City, they can be found only at Chelsea Market and online ordering is available. When I heard a cookbook was available, I had to have a copy. I am a "collector" of cookbooks and we have quite a library. I decided to try the Maple Oatmeal Bars. 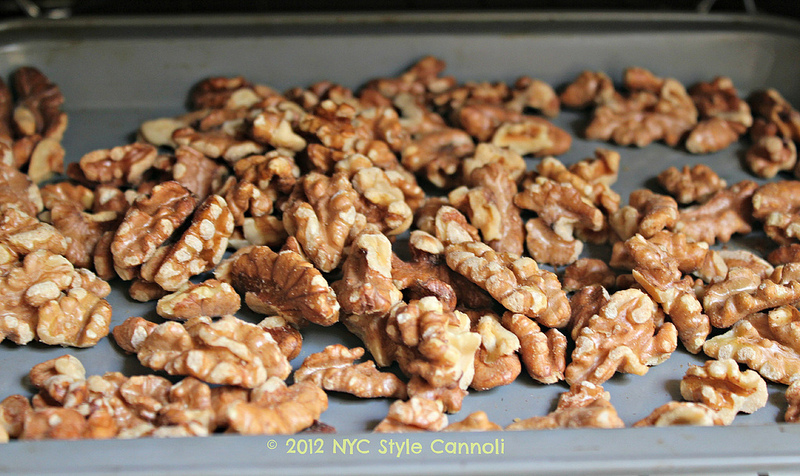 Toasting the walnuts is always a smart idea because it releases all the flavor. I did these in my convection mini oven at 350 just until they started to have an aroma. You don't want to burn the walnuts, just allow them to be a lovely shade of brown. These bars are kind of on the healthy side - maple syrup (real one not table syrup), oatmeal, whole wheat white flour(my own choice here), brown sugar and some cranberries. The smell in my house was so wonderful. These bars are great for breakfast with an apple or side of yogurt. The combination of flavors is just out of this world!! Grease a 9x9 inch baking pan with butter and dust with flour, tapping out the excess. Melt butter in small pan over low heat. Set aside to cool slightly, about 5 minutes. Then stir in maple syrup and vanilla. Blend together the oats, flour, sugar and salt by hand in a large bowl with a wooden spoon, flattening out any lumps. Pour maple syrup mixture over the oat mixture, use a spatula to get all mixture out of the saucepan. 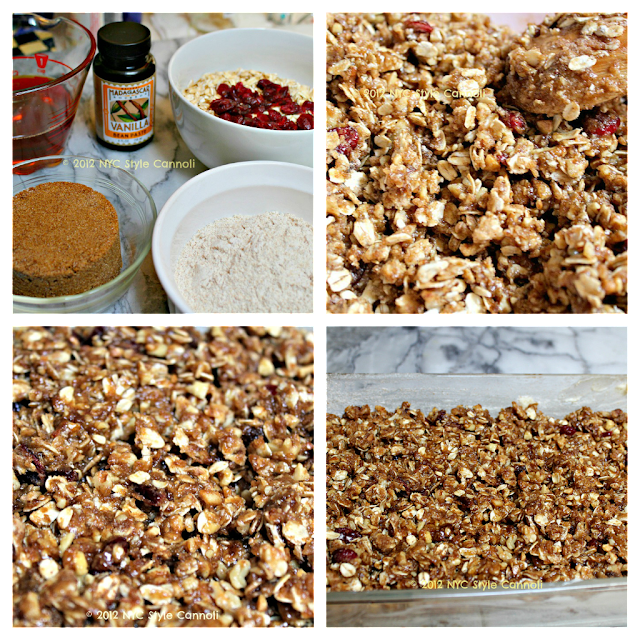 Stir throughly, add the walnuts and mix by hand until well combined. Using a spatula spread the batter evenly in the prepared pan. Bake for 30 min. until edges start to pull away from the edge of the pan and a toothpick inserted in center comes out clean, or with only some crumbs on it. The top should be brown slightly and glossy. Remove and cool on a rack for 60 minutes. This was a very easy recipe and I didn't even need my kitchen aide mixer! As long as you have all ingredients, it is a very quick bar to put together. You can also microwave it for a few seconds prior to eating as with any of the Fat Witch brownies. Be a Google Friend Connect follower OR an Email Subscriber via Feedburner....leave a comment stating what type of flavor witch from the Fat Witch Bakery website you would like to taste. 2. Follow Fat Witch Bakery on TWITTER and tweet this giveaway & leave a comment saying you did. Details: This giveaway is open to US Residents and will remain open until June 30th at 11:59 p.m. EST. Any comments left after this time will not be counted. The winner will be selected randomly and will be notified via email and will have 48 hours to claim their prize. Good Luck to Everyone!! I have received no monetary compensation for posting this content. I have no material connection to the brands, topics and/or products that are mentioned herein. Fat Witch Bakery will be providing this giveaway to the winner. My opinions are 100% my own. Wow! Amazing! I'm drooling. What a great giveaway! Too bad I can't enter but I'm definitely writing this bakery down on my NYC-to-do list. Oh my!! What a bakery! I'm so glad you posted this...what an awesome website they have. If I had to pick one I would have to say the "Java Witch" brownie really caught my eye. Great recipe you put up. Thanks for sharing! As always love your blog. I love Fat Witch Bakery. Please pick me as your winner. The Caramel Witch sounds so so good. Do sign me up please. I have never had a fat witch brownie but have heard of them and ummm is all I can say. I am a public follower of yours on GFC (Carolsue). SNOW WITCH sounds good to me! I like white chocolate! I'm an email subscriber and I'd love to try the breakfast witch. I follow Fat Witch Bakery on Twitter! I'd like to try the Java Witch Brownie.